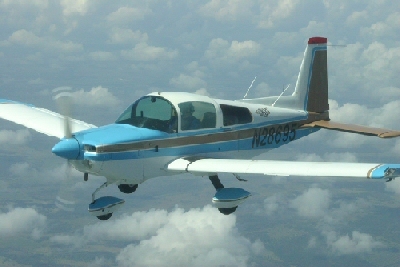 Established in 1972, Christian Pilots Association, (CPA), is a mobilizing service agency dedicated to assisting God's people in fulfilling the Great Commission of Jesus Christ found in Matthew 28:19-20 by providing emergency air logistics, survival services, and supplies for people in need. The Airplane has become the primary vehicle for moving people and supplies to the place of need. Unlimited skyways provide the most economical, the most rapid, and safest transportation in the world. We are ten times safer at ten thousand feet in an airplane than in a car on the highway. CPA's mandate is to enlist dedicated pilots and airmen volunteers throughout the world to fly church and mission projects which relate to the Great Commission. We have been mobilized to build churches, hospitals, low-cost housing, orphanages, and mission stations. Transportation has been provided for doctors, pastors, evangelists, missionaries and Gospel teams on a global basis. We have involved many volunteer doctors, nurses, dentists and others willing to help people in need. Flights (missions) usually consist of such projects as disaster-relief, emergency medical hardship cases, airlifts of food, medicines, medical equipment, clothing, etc., to pockets of poverty, and areas of special need. We have been involved in the transportation by land, sea, and air of millions of pounds of supplies. We receive calls for our services from mission, relief and church organizations to serve as air logistics partners all over the world. We network with well-known relief agencies and local, state, and federal governments. We are grateful to God and the thousands of volunteers who have served with us since the beginning of this organization when our initial incorporators, by faith, trusted the Lord to prosper our mission and allow us to perfect the concept of voluntary air logistics relief in the name of Jesus Christ. It is our hope that this website will provide our pilots, members, and supporters around the world with the latest information and capabilities of CPA. We thank you for visiting us here at CPA, and encourage you to join us in "Flying For Jesus And Human Need". You will be blessed - and more importantly, you will have the direct opportunity to help those who are in extreme need. Just click on the "Sign On" button to join us in Flying for Jesus.